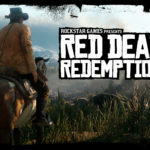 I am going to just start by saying that Red Dead Redemption 2 is easily the best game that Rockstar has ever created, and that is coming from a diehard Grand Theft Auto fan. But also, for a variety of technical and storytelling achievements, RDR2 could be one of the best games ever made. 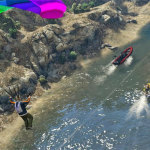 It’s not perfect of course, and those who crave constant Call of Duty type shooting action will be disappointed by the slow storytelling style, but overall, I don’t think gamers can find a more rewarding way to invest their time. 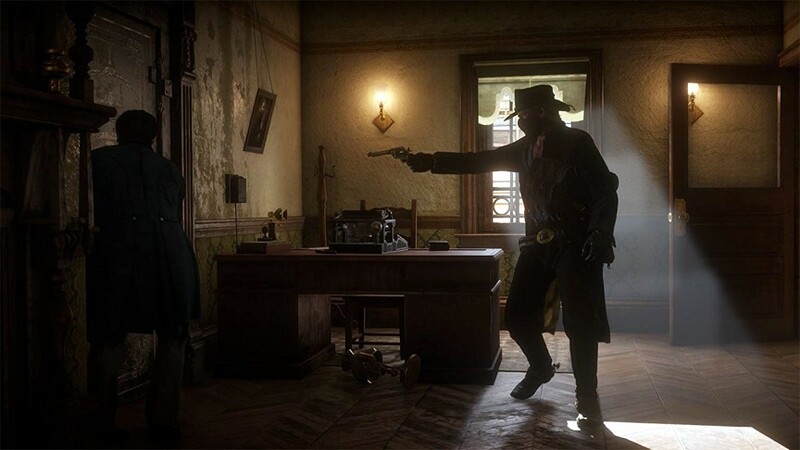 The game takes place several years before the events of the original Red Dead Redemption. 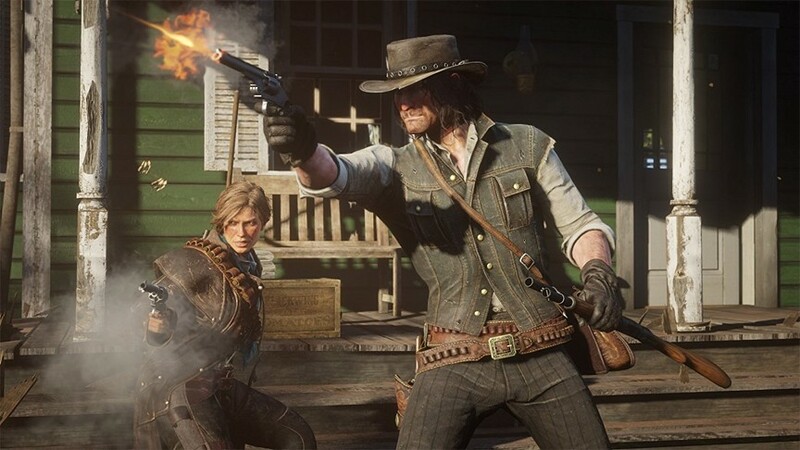 The Van der Linde gang is still together, though the game starts shortly after the tragic ferry boat robbery in Blackwater that haunted John Marston in the first game. 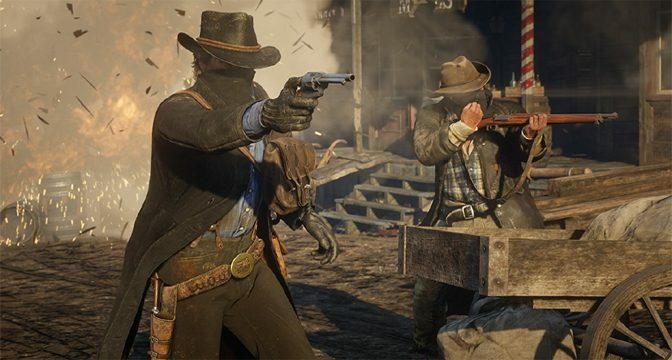 Most of the tutorial level where you learn how to use your inventory, how to shoot, how to use deadeye and how to ride and hunt takes place as the gang is escaping that failed heist by heading over the mountains and through a blizzard. 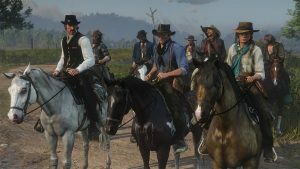 Characters from the original game are present, including Marston, but you play new character Arthur Morgan, who did not have a role in the original. Red Dead Redemption 2 has one of the most powerful stories that I’ve encountered in a game, right up there with The Last of Us. But RDR2 is a very slow burn. It delivers quite an impact, eventually, when various plot points start landing. In fact, action oriented gamers might be a little disappointed at how slow the story begins. After you get off the mountain and make your escape, the world pretty much opens up where you can do anything at all. 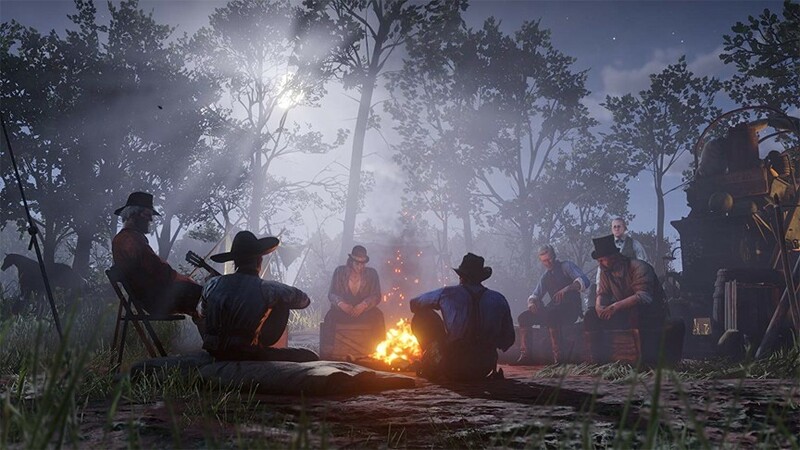 There are scattered story missions, and the world is packed with side quests and random encounters, but you can also spend a lot of your time hunting and fishing, playing poker in taverns, exploring the wilds, training your horses, tracking down bounties, robbing trains and stagecoaches, going on unique missions for people you meet, following treasure maps, doing chores around the gang’s campsite and a whole host of other things that wont advance the main plot. And that’s just fine. Don’t miss out on one of the most impressive games in years. Get a copy of Red Dead Redemption II from Amazon today! The world is enormous. It consists of four huge regions with a wide variety of diversity from snowy, mountainous terrain to hot, swampy coastal areas. There are no locks on where you can go. If you want to scrounge up money for a train ticket and head down south to visit Saint Denis, which is basically New Orleans, then feel free. 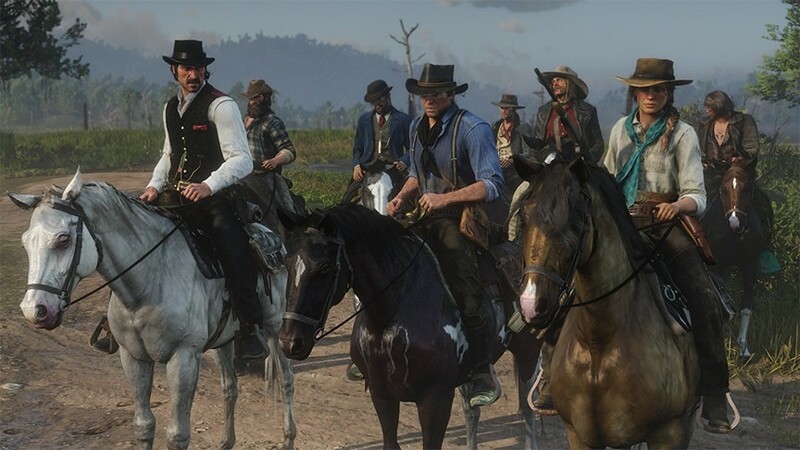 Other than Blackwater, which is patrolled by Pinkertons when the game begins, you can go anywhere right from the start. You can even go to Blackwater if you want, but know that they will shoot on sight if you get caught. If you like open world games, then you wont find anything more expansive. 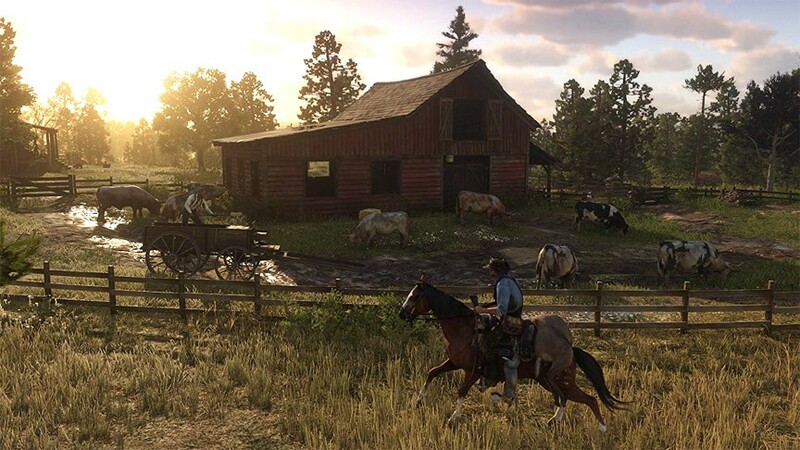 Some people have complained that all that open space can be a bit dull to travel through, since you don’t unlock fast travel until later in the game, though train tickets and stagecoach rides are always available for a price. I actually enjoyed riding through the game’s world. There is always something to do. I’ve found dozens of Easter eggs, sad tales about love lost, betrayal and all kinds of human deceptions and fallacy by simply exploring remote cabins and campsites. Many are abandoned, but their previous residents have left rich stories behind, and sometimes valuables – if you look hard enough. And you have several challenges based on riding skill, gathering plants, hunting, exploration and other factors which can be earned while you travel. Not only that, but RDR2 is packed with wandering strangers who can offer some rather interesting side quests that are completely optional, but almost always fun. Part of the reason that I don’t mind traveling through the world is that it is so amazingly gorgeous. It just looks amazing from the variety of realistic wildlife to the changing weather patterns to the pristine rivers that just invite you to splash into or through them – with the most realistic water effects you will ever see. Almost everywhere you look, be it a crowded city street, an untouched mountain laden with snow, a green swamp filled with wildlife or an open plain of tall grasses and blue sky, it’s going to be a visual feast. There are times, especially when I am up on a high perch somewhere, that I just stop and admire the beauty of the world that has been created for us to enjoy. Of course, you are an outlaw, and Arthur, for all his thoughtfulness, is a stone cold killer. You can play him like a good guy if you want, which yields a lot of advantages including lower prices in stores and better receptions in town, but eventually, you will be fighting with your fists, your knife or your guns. 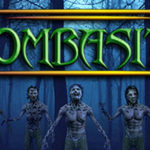 Combat in the game is very much like the previous one, where you aim and shoot in real time or tap into deadeye to slow down time and reveal critical points to aim at for maximum damage. You can also, and probably should, find cover as much as you can, but don’t be surprised if that flimsy crate of apples you choose to jump behind doesn’t get shot away in a protracted battle. So you have a brilliant story, a gorgeous open world, and a solid combat system. 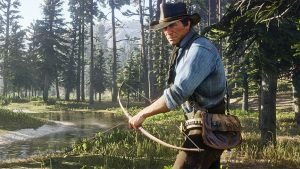 But what I think makes Red Dead Redemption 2 one of the best games ever made is how amazingly clever the game world is, expressed in thousands of little details that you may or may not ever notice. For example, when you kill an animal and skin it, the carcass you leave behind won’t just disappear. It will decompose, first becoming rotten, then spawning thousands of flies and eventually becoming just a ragged bunch of bones. This happens over a couple weeks of game time, so you might not notice if you are not looking for it. There are other great details that make the game world just seem so smart. For one, NPCs actually recognize you if you have met them before. If its been a few weeks since you have been back to a tavern, the tavernkeeper will ask where you have been, and might even give you some incentive to stop back more often. If you dragged someone out of their room the last time you visited a hotel, the owner will beg you not to cause trouble the next time you see him. I even pistol whipped a mouthy store owner who was slow to hand over some cash, and the next week when I went back, he was wearing a bandage over his head where I wounded him. The world is also evolving as you play, with buildings slowly going up in some towns and becoming new stores or residences over many months of construction. 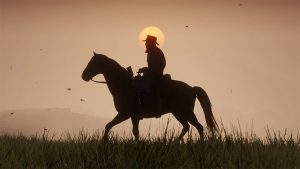 Horses also fall into that realm of amazing details that Rockstar added to their magnum opus of a game. They are practically NPCs. Some are skittish and some are downright mean. You can kind of tell their overall disposition by looking at them. If they hold their ears back and grimace, they are terrors, while those with better natures hold their ears forward and stand more relaxed. You can have up to four owned horses in the game and you will get to know their different personalities for sure. My sweetest horse is a huge draft stallion which I liberated from pulling a cart. She is slow, but sturdy, even in the middle of a gunfight. Another horse I own is fast as the wind, but spooks easily and protests when I add things like animal carcasses to her back. You will get to know your mounts as well, I’m sure. As to the slow burn criticisms I have seen, I will say this. The game picks up like crazy once you reach around chapter four. It might take you 20 or 30 hours to get there, especially if you are like me and wander the world oblivious to the main plot for weeks at a time. Once you get there though, things pick up fast. There is still over half the game to play from there, but most likely you will be on the roller coaster ride at that point. If you need action, then by all means rush towards it. Personally, I don’t mind the slow pace as I was constantly amazed by everything the game had to offer, but if you want action, you will get it eventually. Red Dead Redemption 2 takes us to that pivotal point in time when America was changing into the country it is today. The so-called wild west is just about over in 1899, and the world of open plains and zero regulations was giving away to the ordered and lawful society we know today, connected by technology that makes it so there almost is no more backwoods. 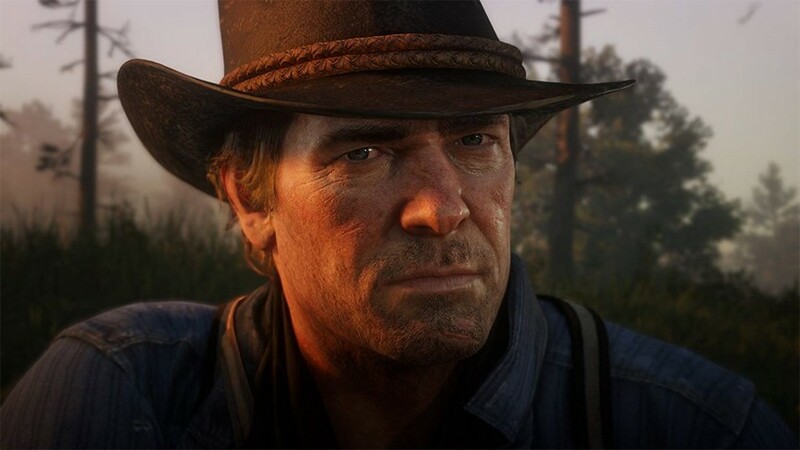 For better or worse, that inevitable march of time and progress is sweeping up Arthur Morgan alongside everyone else. But Morgan at least won’t go quietly. He’s taking one final journey through the freedom of the old west, and hell is coming with him. 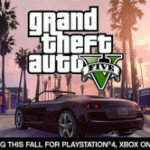 Rockstar has made it so players are not just coming along for that wild ride, but are solidly in the drivers seat. In a lot of ways, Red Dead Redemption 2 is the reason why we play games. It’s an advanced, open world that is both incredibly beautiful and so very clever in countless ways. 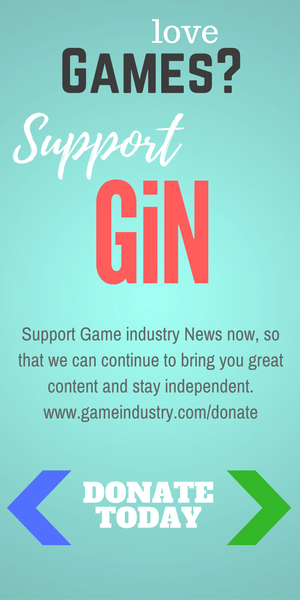 It easily earns 5 out of 5 GiN Gems, with just a little bit taken off of the gameplay score for those players who need more action. But this is clearly the most impressive game that I have ever played. 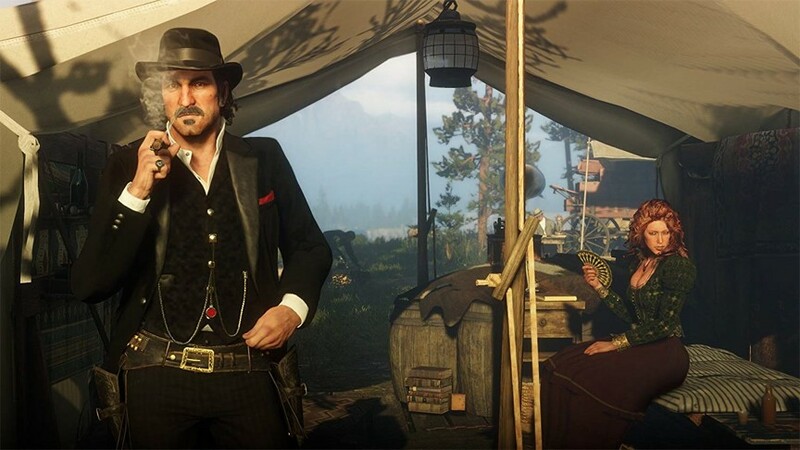 If it doesn’t earn a Game of the Year, I’ll eat Morgan’s hat – the tiny purple bowler I just bought for him at that boutique in Saint Denis, not the huge grey Stetson I crafted from a legendary ram’s hide – just to hedge my bet a little bit on the safe side. But RDR2 is solid in so many ways, you can’t help but be impressed by it.